Hot foil stamping is an art unto itself. We are one of a few print shops that do this service. It sets itself apart from traditional printing by providing the elegance and pop that you may be looking for. It allows you to showcase your product by using specialty foils and pigments. 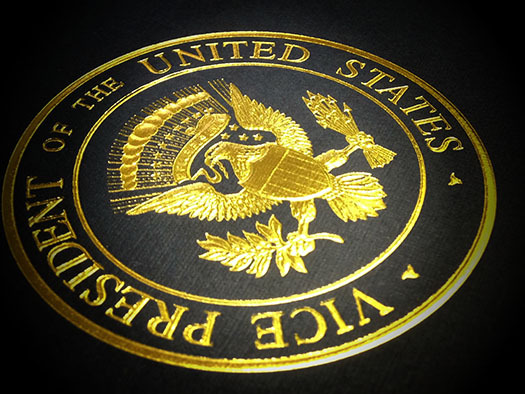 Foil stamping can be using by itself or in combination with our other specialty print services to help enhance and beautify any of your print jobs. Die cutting is a unique service. The sky is the limit and Kinker Press, inc is capable of getting it done. Whether it be a special cut/shape, adding perforations, scores, windows. 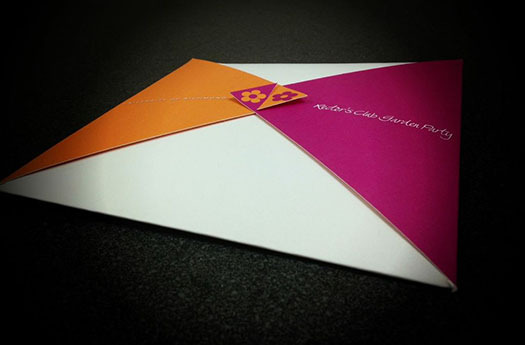 From pocket folders to invitations to unique shaped printed materials. 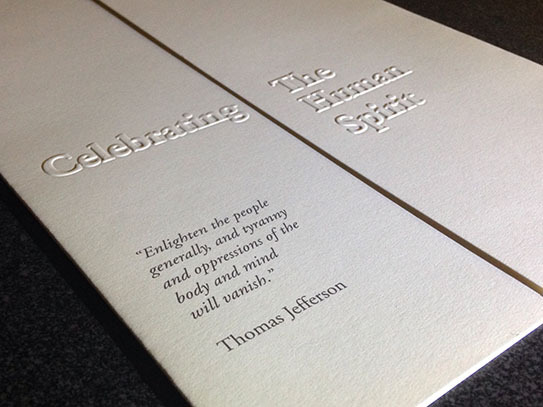 Letterpress Imprinting is about as traditional as you can get in the world of printing. Gutenberg gets the credit for it, but the Chinese were doing it long before he was born. At Kinker Press, inc. we are keeping this traditional form of printing alive. Using Heidelberg Windmill presses, we are able to firmly press each die into the surface of the area being printed. 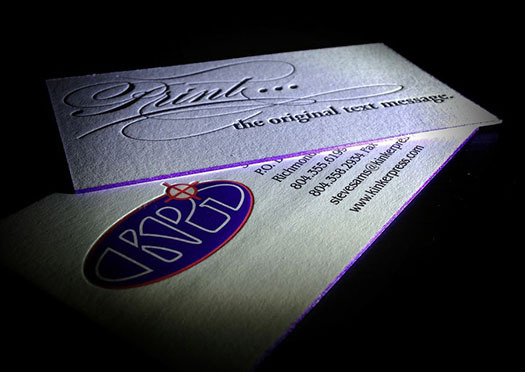 Embossing allows you to create an impression without using any ink. You can “emboss” by pressing the image up or “deboss” by pressing the image down into the paper using custom made dies. At Kinker Press, inc. these subtle techniques are used to create a reverent piece with a tactile flair. Established in 1987, by Wade Kinker and Steve Sams, Kinker Press, inc has become the front runner in specialty printing. Our business believes in delivering high quality print services with top notch customer service. With “you name it, we can print on it” being our motto we strive to deliver the best quality print job for your client, business, or individual needs. We are located in Richmond, VA and have worked with clients on an international, national, and local basis. Using the traditional tools of the printing trade, we are able to letterpress imprint, emboss, hot foil stamp, die cut, wide format print, film output, as well as, offset and digital print. We pride ourselves on our ability to deliver superior customer service with no print job being too big or too small. Your imagination is the only limitation. Contact us. We are happy to assist you.